Spending time in a sauna or steam room can be a relaxing and healthy addition to your day at the spa. Both of these use heat to make you sweat and increase your heart rate and circulation. This can help you sleep more soundly and deeply when you go home. Saunas use dry heat with some moisture added partway through, while steam rooms keep the humidity level at 100 percent. The high humidity in a steam room can soothe respiratory conditions, such as coughs and congestion. A steam room, though, isn’t for everyone with lung problems, because sometimes the humid air can make it difficult to breathe. A steam room is also a good choice for people with dry skin, because the moisture in the air can help hydrate the skin, while a sauna may make it worse. People with greasy skin may find a sauna more beneficial because the humid air in the steam room can clog their pores. Increase circulation by speeding up the heart rate and widening the blood vessels. Relieve muscle soreness and arthritis pain. Improve relaxation, sleep and feelings of well-being. Provide benefits for the heart and lungs similar to that of moderate exercise. For the best experience, here are some tips for before, during and after your sauna or steam. Avoid eating a heavy meal. If you are very hungry, try eating a small, light snack. Use the toilet, if needed. Take a shower and dry off completely. Wrap one towel around you. You will be given another to sit on. You can prepare for the heat by taking a warm foot bath for 3 to 5 minutes. Find the spot that you would like to sit and spread out your towel. Sit or lie quietly during the entire time. If there is room, you can lie down. Otherwise sit with your legs elevated slightly. Sit upright for the last two minutes and move your legs slowly before standing up; this will help you avoid feeling dizzy. You can stay in the sauna or steam room for up to 15 minutes. If you feel unwell at any point, leave immediately. Spend a few minutes in fresh air to cool down your lungs slowly. After that you can take a cold shower or possibly a dip in a cold plunge pool. You can also try a hot footbath afterwards. This will increase the blood flow to your feet and help release the body’s internal heat. Drop in blood pressure, which can be harmful for people who already have low blood pressure. Increased blood pressure when going from a hot sauna or steam room to a cool swimming pool. People with high blood pressure should avoid a cold plunge bath after a sauna or steam. Dehydration due to loss of fluid from sweating. This may be more of a problem for people with kidney disease or other medical conditions. Avoid drinking alcohol before or during because it can increase the risk of dehydration. Don’t spend more than 15 minutes at a time in a sauna or steam room. If you are new to the practice, start with five or 10 minutes and slowly increase this time as you get used to the heat. Drink lots of water—two to four glasses—after using a sauna or steam room. Avoid using a sauna or steam room if you are ill.
People who have had a heart attack or have kidney, lung or heart disease, respiratory problems or other medical conditions should talk to their doctor before using a sauna or steam room. 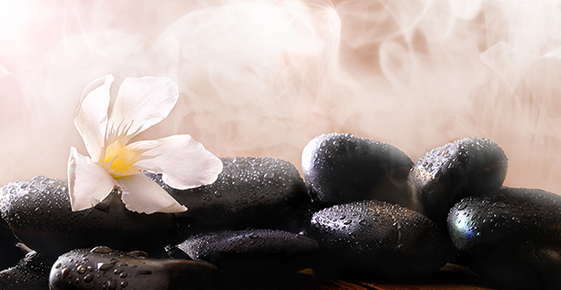 To enjoy the deep relaxation and other health benefits of sauna or steam therapy, book your next spa day today.